French scientists have developed a software program called Predibirth' that can identify potential problems with delivery of the baby in high-risk pregnancies. A woman's birth canal is curved and relatively narrow compared to the baby's head. 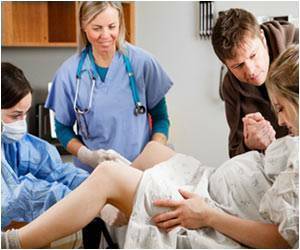 The baby must travel through the canal in a specific sequence of movements and any problem in those movements raises the possibility for the baby to get stuck (dystocia) during delivery. The program uses MRI scans of the mother with the fetus in her womb and creates a 3-dimensional reconstruction of the pelvis and fetus along with 72 possible trajectories of the baby's head through the birth canal to determine the likelihood of a normal delivery. This software was tested in 24 pregnant women. Each lady was provided a score for likelihood of a normal birth, based on these simulations.